We would like to thank Morocco Tours, the luxury division of Experience It! Tours, for our April 26 to May 4 Imperial Holiday Tour. What an incredible experience we had from our first contact with the team to the final goodbye to our driver Youssef Abdelmoula. In the company of this wonderful and highly professional young man we were taken on a journey that taught us so much about this country and it’s people, way beyond our expectations. Youssef calmly led us through each day, anticipating and attending to all our needs, facilitating the smooth transition from one activity to the next, and ensuring our safety and well being at all times. In fact, Youssef was the key to the enjoyment and success of our week in Morocco and we sincerely thank him. The staff at Riad Myra were wonderful and in particular we thank Ibrahim for his attention to detail and his caring manner, shown to us in so many ways. An absolute highlight of our trip was to leave this luxurious Riad and step straight out into the narrow lanes of the Fes medina. What a surreal experience, so rich and so rewarding. We were equally impressed with Riad Les Clos des Arts, especially the warm welcome shown us by Massimo and Georgina. Their care and local advice was invaluable. Breakfast and dinner on the roof terrace were memorable, the food delicious. We were taken to the most amazing sites, we ate like kings, were guided through unbelievable souks, important palaces and mosques by experts, and we drove through beautiful countryside. We did not expect to be taken back to Ancient Rome or to walk in bare feet on the magnificent rugs of the huge and breathtakingly beautiful Hassan 11 Mosque. 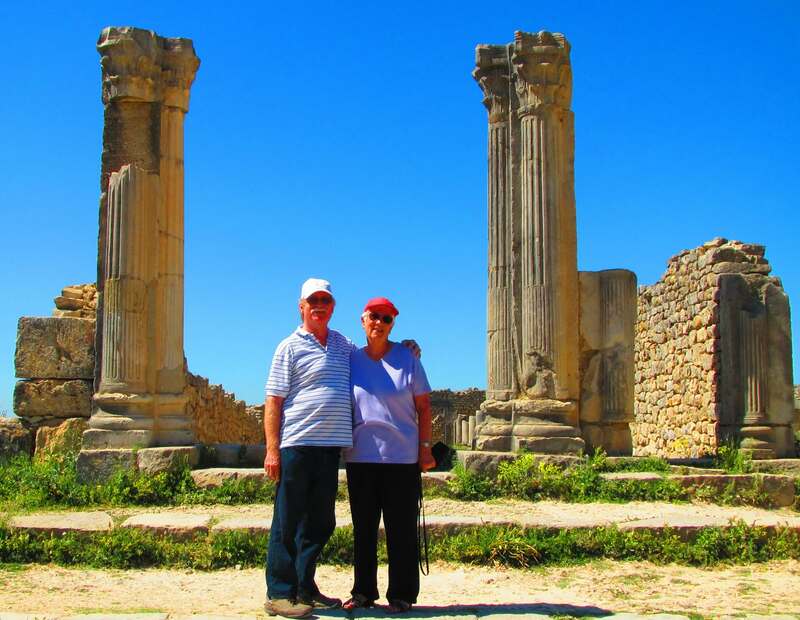 Traveling with this tour company was akin to being given magical keys which unlocked a myriad of mysteries and revelations about Morocco, its history and its culture. 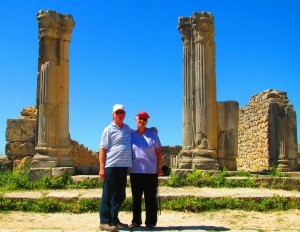 We would not hesitate to recommend Morocco Tours/Experience It! Tours to anyone interested in stepping outside their own culture to explore a fascinating country filled with friendly and amazing people.